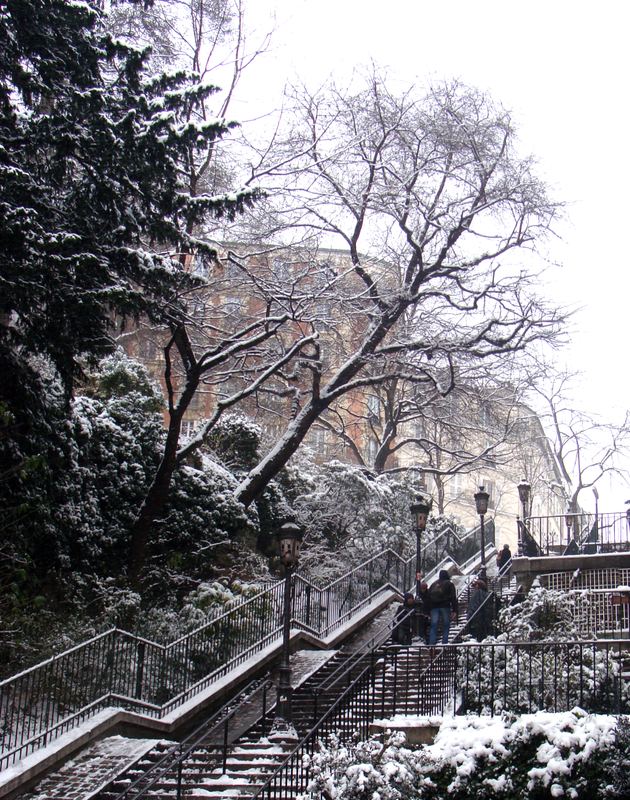 Beautiful Paris in the snow! 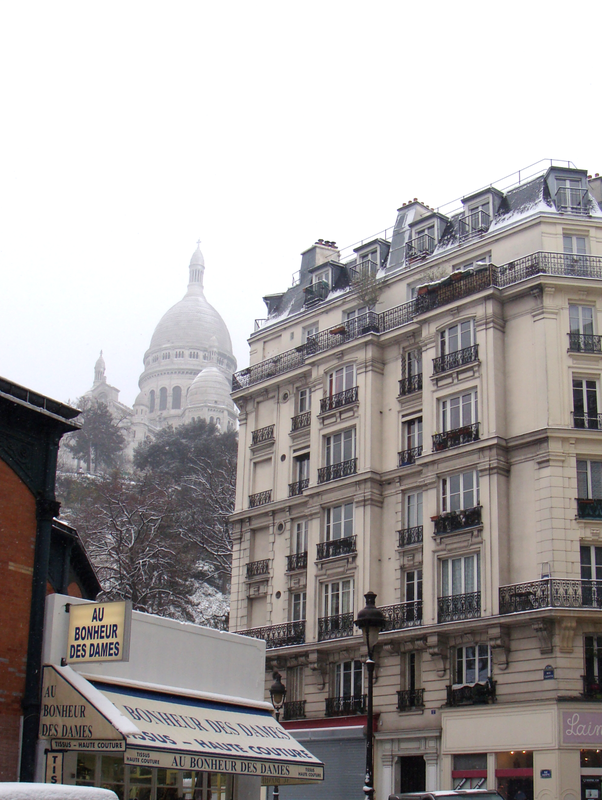 A view of the Sacre-Coeur with a fabric store to the left an a yarn shop on the right corner. Best view in Paris? 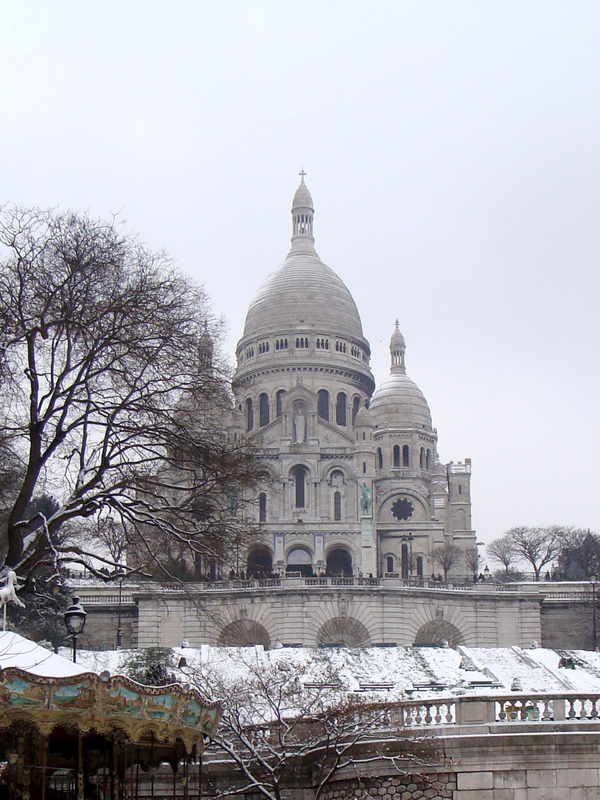 Snowy Sacre-Coeur. Straight from a postcard! Shopping for coupons! 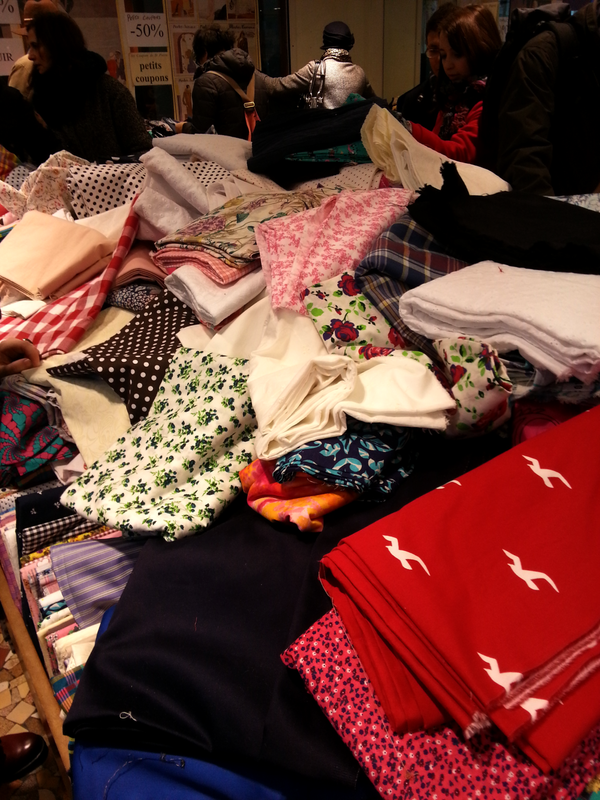 I didn’t buy any of the fabrics in this picture, although the red one with the seagulls was calling my name.